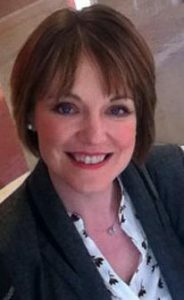 My name is Kelly Hainsworth and I am a fully qualified reflexology practitioner and maternity reflexologist. I am passionate about my treatments and the benefits they may bring to your life, whether you have a specific health problem or simply to help you enjoy the best possible levels of energy and well-being. I first became involved with reflexology in 2006. I was experiencing difficulties sleeping and was unable to relax following a bereavement. A friend suggested I tried reflexology to help me relax and promote a good night’s sleep. I was amazed with the results – after just a few sessions I began to sleep well without waking several times a night and I felt able to relax again. Through my personal experience I was fascinated with reflexology and wanted to learn more about it. I enrolled with the International Institute of Reflexology (IIR) – which is the oldest reflexology school – and went on to set my business up after an incredible year of studying. I am proud to offer my clients a tranquil environment away from the stresses of everyday life in the warm, relaxing, and comfortable treatment room based at The Health Workshop in Ashby-de-la- Zouch. I have a passion for women’s health and have completed continuing professional development in Enhancing Fertility and Maternity Care through Reflexology. 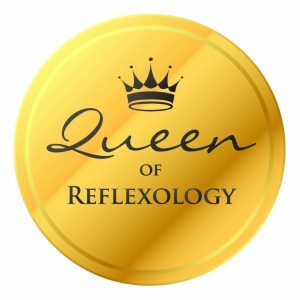 This is accredited by the Association of Reflexologists (AoR) via Jubilee College, taught by David Wayte, who is a Fellow of the AoR and the only reflexologist in the UK to be made a member of the Royal Society of Medicine. I continue to keep my skills and knowledge up to date by attending regular continuing professional development courses. I believe the extensive training I have undertaken, along with my interest and passion in what I do, ensures my clients receive the best possible treatments, delivered to the highest standards. If you have any questions, or would like to book an appointment, email me at kelly@kellyhainsworth.com, or call on 07910 120 929.